Cycling is very different in St Germans and Hayle. St Germans is a fantastic area for the masochistic cyclist who loves a good hill climb and the thrill of a steep descent. There are few off road cycle ways, but plenty of very quiet country roads. We really like cycling in this area, but if your idea is a pleasant, fairly level, amble, it may be better to head towards the off road routes in mid Cornwall, several of them reachable by public transport - we'd particularly recommend the area around Bodmin Parkway station. For cycle hire, Go By Cycle will deliver your bikes to the door. Hayle is perhaps better situated for the leisure cyclist. We've put in a cycle store and there is bike hire just down the road and the first and last cycle train passes Harvey. In Hayle we recommend Hayle Cycles who are just down the road from Harvey. Figure of Eight - This cycle is quite good for a short amble to blow the cobwebs away. Be warned - the hill down to Polbathic is very steep and should only be taken if your brakes are working well. The closest short off road cycle is a lane leading up over the steep hill from the carriages in St Germans. It is called Longfield, with stunning views across the countryside, and makes a pleasant three mile ride when combined with very quiet lanes. The lane is extremely steep to get to the top of the hill, so it is safest to do this on the way up rather than down. Also off road is the Seaton Valley Countryside Park, popular with very young cyclists and dog walkers. This is four miles from St Germans, or a slog of a cycle with two serious hills between. Combine it with more lanes to make a seven mile circular taking in breathtaking views of the coast. Up hill and Down Dale. This ride is particularly spectacular when the hedges are at their best in May and June. The steep descent into the valley before Hessenford should only be attempted if your brakes are working well. Cycling along these tiny, little used farm lanes gives a good taste of what life before cars might have been like. Be aware - the climb up pig lane from Hessenford is pretty tough. Shopping in Liskeard, with the option of a train back; This is about as flat as cycle rides near St Germans get. There are several gentle climbs, and a steep hill just before Liskeard. If you return the way you came it is easier, as it is mainly downhill. Take special care when crossing the road at Trerulefoot - this is a very busy road and not suited to inexperienced cyclists. On the way you will climb upwards to Padderbury fort, an iron age hill fort that can be seen for many miles. 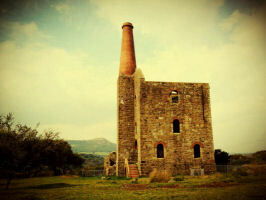 Also look out for the old mine workings at Wheal Honey, Trehane. This area was famous for its silver mines. Returning from Liskeard via Seaton; Catch a train to Liskeard to begin this ride, which takes you to the coast along the valley from Liskeard. Apple Orchard Picnic - Another hilly route! Lizzy's parents own twenty acres of cobnuts, walnuts and apples. 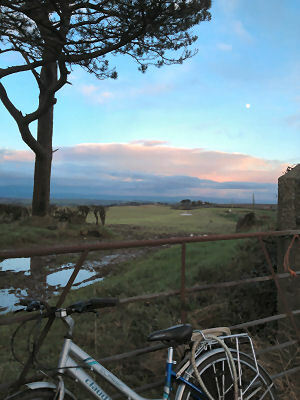 This cycle takes in some of the lanes between St Germans and the back of Landrake. Either take a picnic, or take a detour to the Weary Friar at Pillaton (mid way through the ride) or the Rod and Line at Tideford (towards the end), which is an excellent place to eat and close to home. 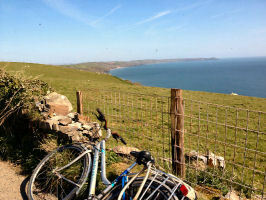 Cycle to Whitsand Bay, taking in the fishing villages of Kingsand and Cawsand. Cycle to the Moors - Its lovely up on the moors near Minions. Bodmin Parkway to Lanhydrock, or head along the cycle path to Bodmin, home of Bodmin and Wenford Railway, Bodmin Jail and the Camel trail - a cycle route joining Bodmin to Padstow. Bike hire is available in Bodmin; Bodmin Bikes 01208 73192. On train - catch a bus to Bodmin town from outside the station. There is also bike hire in Wadebridge Bridge Bike Hire - Bike Hire for the Camel Trail open daily 9am-5pm - 01208 813050. The Camel Trail must be one of the most popular routes in Cornwall and it is not hard to see why. 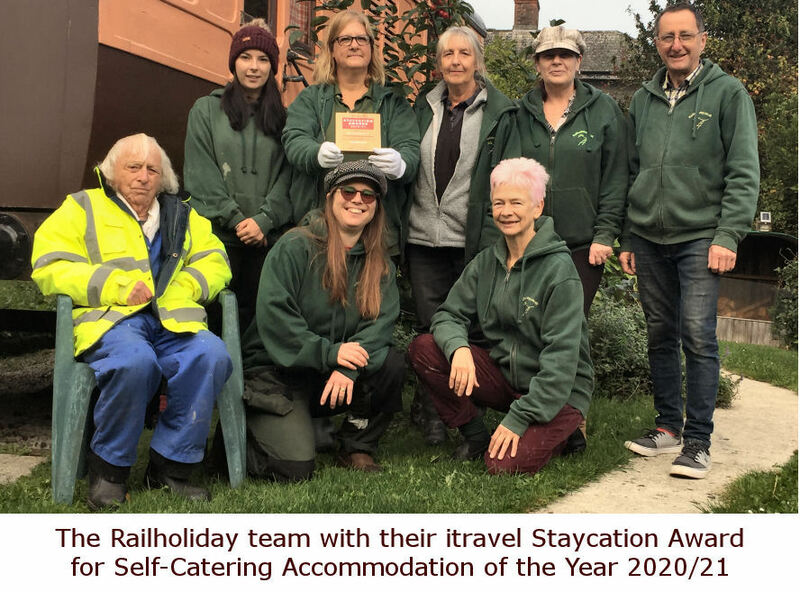 It straddles three towns in bite sized chunks on a flat railway bed, with lovely scenery along the way. 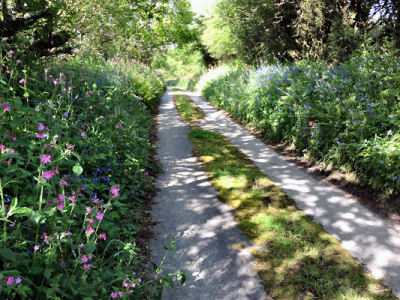 Our favourite part of the cycle route is not however the main route from Bodmin to Padstow, which can get very busy during holiday times, but the stretch between Bodmin and Wenford Bridge. This is a lovely ride and much quieter than the better known stretch. 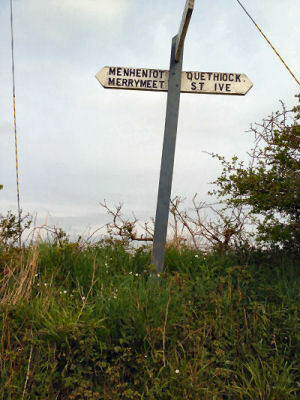 Cycle from Liskeard to Herodsfoot, where the terrain is as challenging as any you could wish to come across, but the roads are virtually traffic free. Siblyback Lake Country Park - head to St Cleer near Liskeard. Siblyback is about two miles from St Cleer on the moors. There is a flat trail of 3 and a half miles around the lake or you can head onto the moors. Bikes can be hired by the hour, so you might be tempted to combine the visit with some canoeing, rowing or wakeboarding while you're there. Call 01579 346522 to book. You may be tempted to head over the water to the super Plym Valley Trail. This can be accessed from Plymouth station or by car, park in the National Trust Plymbridge woods car park (PL7 4SR). The trail follows an old railway track through tunnels and over a grand viaduct and is flat for several miles. When you get onto the moors at Clearbrook there is a bit of a climb (usually a good place to turn around if you've got small children with you), but from here on there is a good off road path across the moors all the way to Tavistock. It's not too hilly (there are a few climbs, but some great rewards too) and is a super ride. Tavistock is a thriving market town and well worth a visit. Back on the best side of the Tamar, we'd highly recommend the Coast To Coast Trail from Portreath to Devoran. The First and Last Trail - This passes past Harvey and with a little imagination can be turned into a circular route. Nearest bike hire - Hayle Cycles. "Land's End is internationally recognised and a focal point for any visitor to Cornwall. 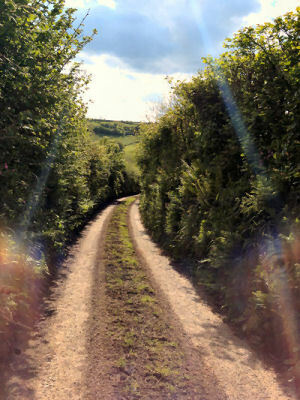 Heading east along quiet lanes, the trail leaves the magnificent coastline and enters the ancient landscape of Penwith. The trail takes in the picturesque villages of Sennen, Lamorna and Mousehole and reveals fantastic views across Mount's Bay. There is a level route between Mousehole, Newlyn, Penzance and Marazion, as well as excellent links to popular tourist attractions such as Newlyn Art Gallery, Jubilee Pool and St Michael's Mount. "With the castle of St. Michael's Mount forming a spectacular back-drop, the trail leaves the south coast at Marazion following relatively level minor roads along sheltered river valleys to Hayle and the more rugged north coast.passing through Hayle, maps, history and more. Cardinham Woods - four different off road routes around the valley of the Cardinham Water river. Bikes can be hired from Trail Munki. We and particularly our teenage son, love these rather hairy mountain bike tracks but do be aware - they are not for beginners or the faint hearted! If you have young children you can take pushchairs and little bikes along the walking paths in safety as they are out of bounds for experienced cyclists. Cycle Route - I like this site! Lots of circular routes posted by cyclists all over Cornwall. The Mineral Tramways - history, heritage and maps. Sustrans Cornwall - The UK's leading sustainable transport charity. Includes information and maps for the major cycle routes in Cornwall. Hayle Cycles - Bike hire just down the road from Harvey and as they are a bike shop can provide everything you need. Bissoe Tramways Cycle Hire - Bike Hire and servicing. Bridge Bike Hire - Bike Hire for the Camel Trail situated in Wadebridge, open daily 9am-5pm. Padstow Cycle Hire - Bike hire located at the start of the Camel Trail in Padstow. Pentewan Valley Cycle Hire - Ideal if cycling around Mevagissey and St. Austell. Route to the Eden Project available.